‘Tis time for the A-Z Blog Challenge Reveal. Some of you will say, “Wait! We already saw a listing of all that Story Crossroads will cover!” To you we say, “Thank you, oh dedicated ones.” Our website is only 1 1/2 months old. However, the dreams and ideas behind Story Crossroads has floated upon the universe for at least 15 years. Five years ago we knew where Story Crossroads would take place. One year ago we knew that April 15-16, 2016 would be the launch dates. We get ahead of ourselves. We want to delve into why we are excited about this A-Z Blog Challenge. The first Challenge started in 2010 where bloggers could test their skills with connecting a theme with the alphabet. We will be taking part in the A-Z Challenge where a post is done each day (except Sundays) for a total of 26 posts in April. Each post will be on a theme connected to the letter of the day. You can learn more about the A-Z Blog Challenge here: www.a-to-zchallenge.com. People live and people thrive. The ones who thrive live in creative communities. How do you know if you live in a creative community? Creative communities show other signs. Find out more of these signs. Discover them where you live. 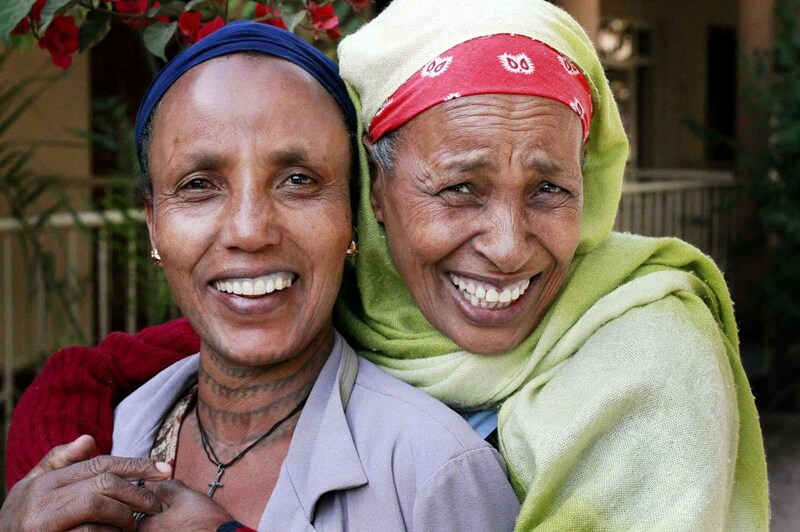 We appreciate Steve Evans granting permission to use the picture he took of the ladies from Ethiopia. You can find all of his images here: https://www.flickr.com/photos/babasteve/. Love the titles, love the theme, love the concept 🙂 Go Story Crossroads!! I’ll definitely be following closely, as I’m sure there will be lots to learn from your posts! What a marvelous theme. I enjoy creating and nurturing artistic communities and I am sure you will offering me a lot in your wisdom. I look forward to knowing you better!